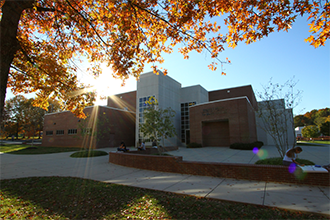 Founded in 1974, Pellissippi State Community College (PSCC) comprehensively serves the greater Knox and Blount County areas and extends its engineering and media technology offerings to Anderson, Loudon, Roane, Cumberland, Campbell, Fentress, Scott and Morgan counties. Pellissippi State ranks #6 on the 2016 Community College Week Top 50 list of schools producing associate degrees in Communication Technologies/Technicians & Support Services. First year enrollment has grown from 45 students to over 10,000 credit students today. The college offers associate degrees in 13 career/technical programs and numerous university parallel (transfer) programs, as well as a variety of institutional certificates and continuing education opportunities. The college also provides dual enrollment programs in partnership with area high schools, adult education classes for non-traditional students and an extensive number of online courses to accommodate busy schedules. eCampus courses completed at Pellissippi State Community College are entirely online and are completely transferable among all the participating institutions.